From the entries for the FME International Business Award the jury has selected three companies which are nominated for the FME International Business Award 2015. 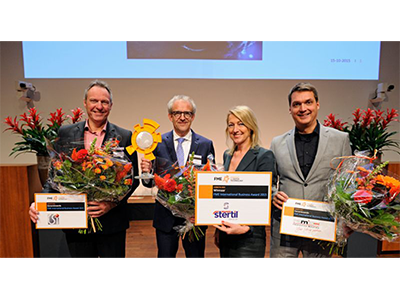 With pride we can inform you that Ramix, another company in the Rollepaal Holding, was one of these nominated companies!On October the 15th the event FME Conecta was held in Utrecht. It was organized by the FME, the number one employers' organisation in the technology industry. Ramix was nominated for the FME International Business Award. The three nominated companyís had to give a short presentation to explain how they do business in a changing world. Machiel de Winkel, our Manager Sales & Development, had an excellent pitch. In 3 minutes he held a flashy presentation showing how Ramix is strong in a changing world. We are very proud Ramix came in 3rd!